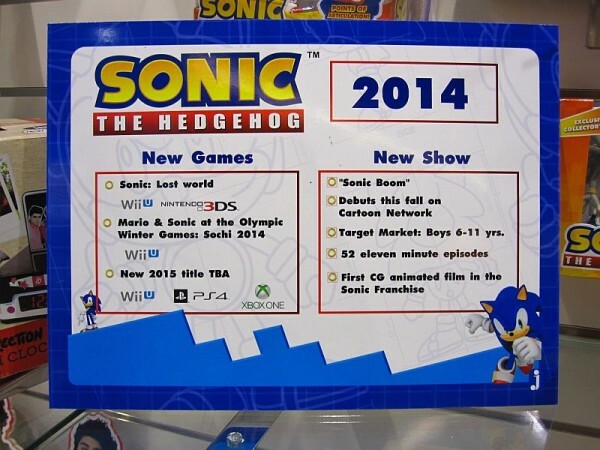 A banner at the Nuremberg Toy Fair lists a new Sonic title to be launched in 2015 for PS4, Xbox One and Wii U. 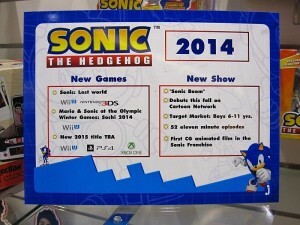 The title is unannounced by SEGA officially, but it’s a pretty solid bet that the news is genuine as it’s listed on an official Sonic merchandise board on a stand at the fair. Other small details have also been confirmed such as the new CG animated cartoon ‘Sonic Boom’ airing on Cartoon Network this autumn. 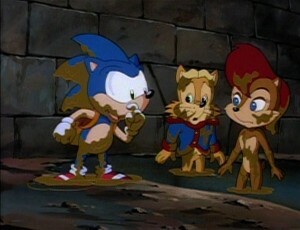 There will be a 52 episode run of 11 minute episodes and there is also confirmation of a CG animated film. 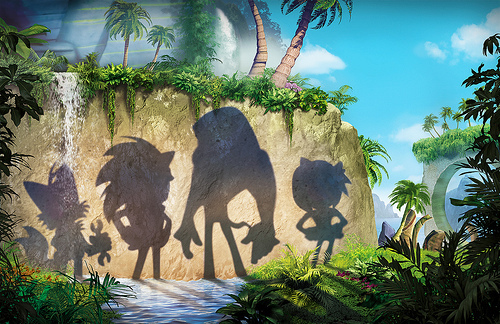 SEGA are declining comments on the leak at this time.